Like Sailor Moon and Role Playing? Do you miss the old days of the old Yahoo! Sailor Moon chat rooms? Or maybe you just want to do some live chat room Role Playing for a change with a group of quality writers? Then come check out Beyond Time, an alternate universe Sailor Moon RP that takes place on a flash chat website called Come Role Play, where our mission is to bring back the Yahoo! User Room experience in a laidback environment. 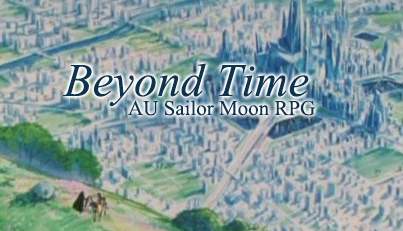 Set in Crystal Tokyo, Beyond Time is a character driven Sailor Moon RPG where you make up the story. Your creativity can flourish in our ever-expanding universe, and you can introduce headcanons and AU ships, or even stick to canon if you prefer. We accept everything from canon Sailor Senshi, minor characters to villains, in addition to your own original characters, custom races and teams. We have many canon characters available, including many of the main Sol Senshi and Starlight's. We’d love to have you.